This half term Class 1 have been learning about the seasonal change from Summer to Autumn. Mrs Hutchinson said we could go to Victoria Park to look at all the different signs of Autumn. We had so much fun! We saw lots of Autumn leaves on the floor and some were still stuck on the tree branches, just clinging on. 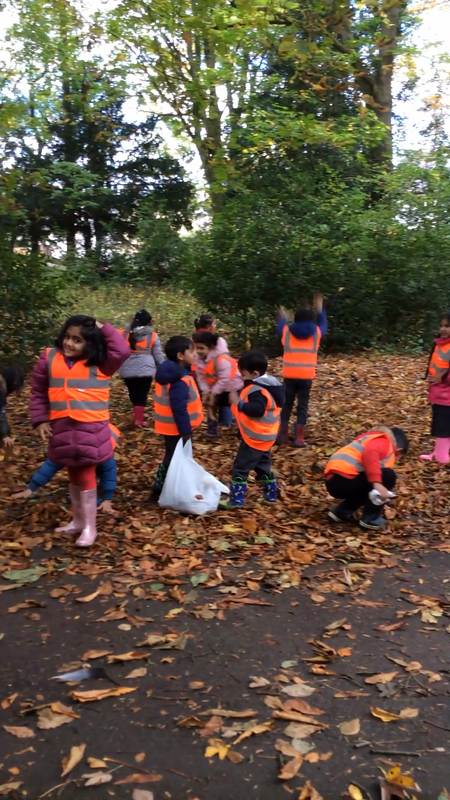 The colours were very bright - we saw lots of oranges, browns, yellows and reds littered amongst the path. We even chased a squirrel up a tree who had been collecting special conkers!! (We collected some too).